When Alicia Woods got her first gig in mining, she knew she would have to work hard to prove herself in the male-dominated industry—but she did not realize the extent to which she would literally have to roll up her sleeves. Woods grew up in Sudbury, Ont. in a family of miners, and there was never any doubt that she would one day follow their footsteps into a career below ground. But when Woods walked into one of her hometown’s safety supply stores to get her gear, she felt like a petite woman in a Mr. Big & Tall—even the smallest options were multiple sizes away from the right fit. With less than ideal off-the-rack options, Woods bought the smallest size in everything and, in the immortal words of Tim Gunn, decided to #MakeItWork. That meant getting the sleeves and pants hemmed, and pulling up the low-hanging crotch over her belt and using its excess fabric to store her books, lunch and tools. Even with hemming and creative folding, traditional coveralls were still not a good fit. Woods, 38, remembers her first day on the job in 2000 when she asked a colleague where the bathroom was in the mine. He simply laughed and pointed to the end of a dark tunnel. The thought of taking off her one-piece coverall to squat in a dark mine tunnel was too much for Woods. “I avoided going to the bathroom that day and came back up to the surface looking for workwear for women,” she says. In Canada, women make up less than 5 percent of the skilled trades workforce, according to Build-Force Canada—though that percentage is slowly rising. 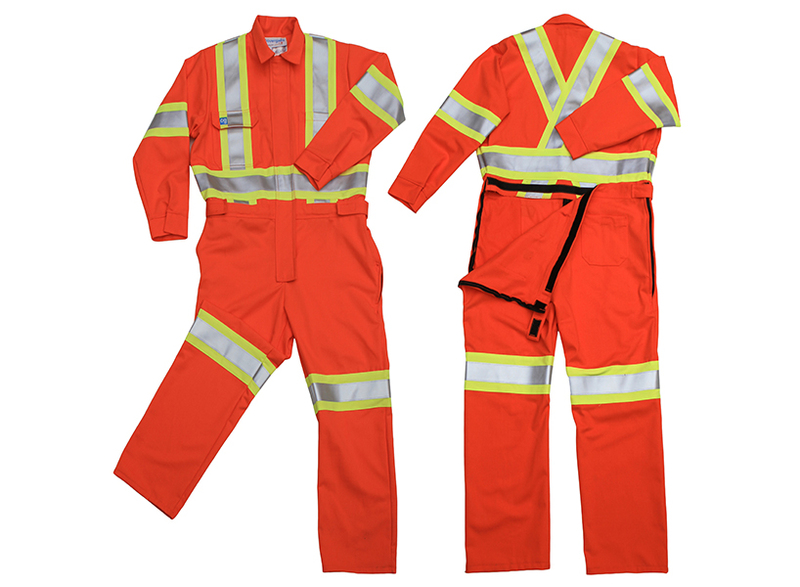 Woods, now the general manager of Marcotte Mining Machinery, decided that in order to help women feel like they truly fit in the skilled trades, the industry needed some alterations—starting with the workwear. In 2014, Woods launched Covergalls, workwear that looks nearly the same as the traditional apparel but has small changes that make a big difference for women. Not only are the sizes better suited to women’s frames—meaning no loose material which can be a safety hazard—but the garments also incorporate a two-way zipper in the front and a rear trap door to make it easy for women to go to the bathroom. “Things are changing and we do need to start equipping women with the personal protective equipment for health and safety reasons, but then also to make them feel like they are a part [of the industry],” she says. With an estimated 250,000 skilled workers set to retire in the next ten years, the opportunities in industries like mining are growing, prompting a push to welcome more women and a growing need for products like Covergalls. Woods says she’s sold garments to workers in mining, forestry, construction, firefighting, animal healthcare and manufacturing—and women aren’t the only ones interested in her product. Woods says that she’s received emails and phone calls from men asking about these garments for their daughters, wives or colleagues. 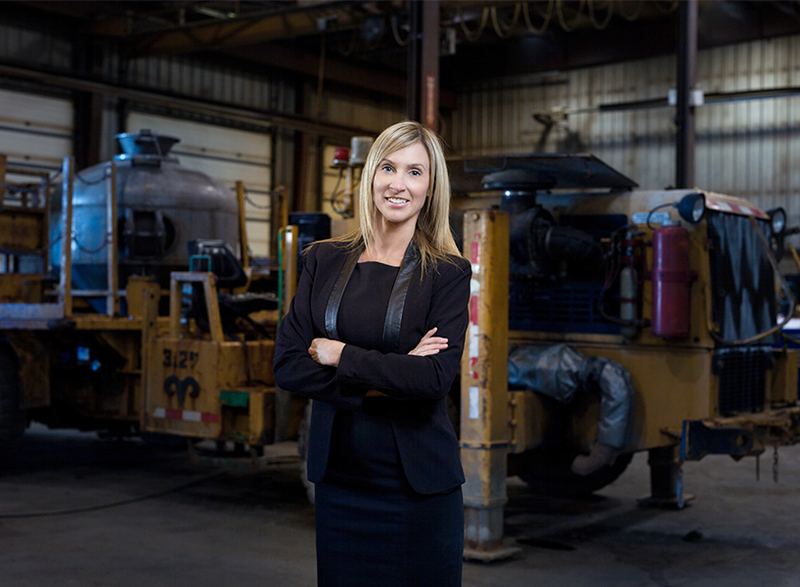 Calls like that hit home for the intrepid entrepreneur, whose father and grandfather carved her path into the mining industry. At a recent job fair, Woods noticed that the crowd a bit different than its been in the past. “There was a handful of men walking around with their daughters, showing them the industry. I thought, ‘Wow, things are changing!,’” she says. And thanks to Woods, these women will have the perfect outfit for their first day on the job.